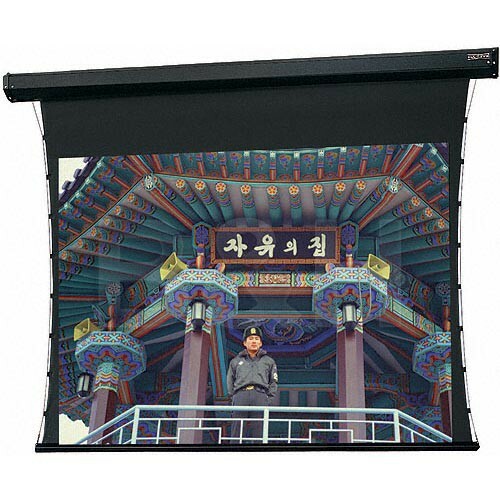 The Dalite 8 x 8' Tensioned Cosmopolitan Electrol Motorized Projection Screen will be a great choice for educational or corporate use - especially when you are not able to install the screen directly into the ceiling. The tensioning feature assures that both the horizontal and vertical planes are held firmly in place providing a flat, even projection surface. The motor is oiled-for-life and features a thermal cut off (to prevent burnouts). The braking system is sophisticated and is designed to "stop" where you want it. There are also pre-set limits for the screen to stop at in the "up/down" positions. Box Dimensions (LxWxH) 131.0 x 13.0 x 10.0"